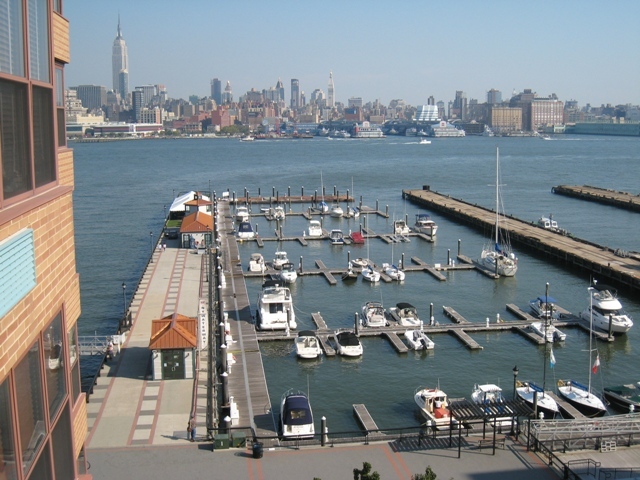 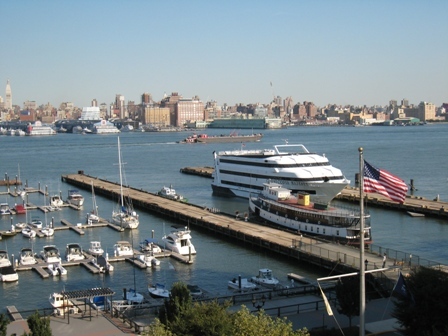 Spacious (1150 sq ft) 2 br/2ba condo in a premier waterfront community in Hoboken featuring stunning views of NYC and the River from the living room. 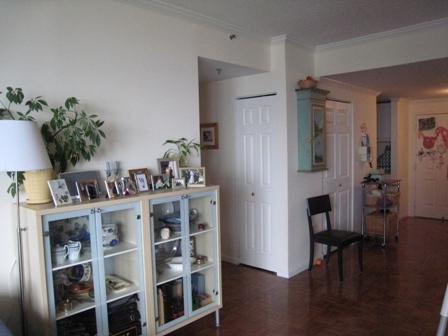 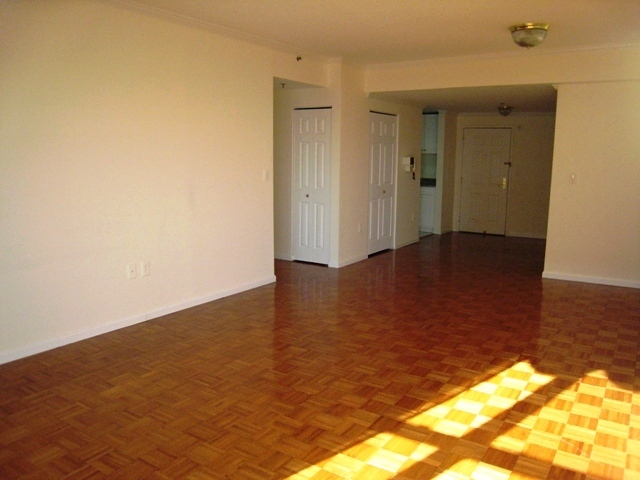 This condo located on the 8th floor of this hi-rise building has a galley kitchen with granite countertops, nuetral marble bathrooms, honey oak parquet floors and carpet in bedrooms. 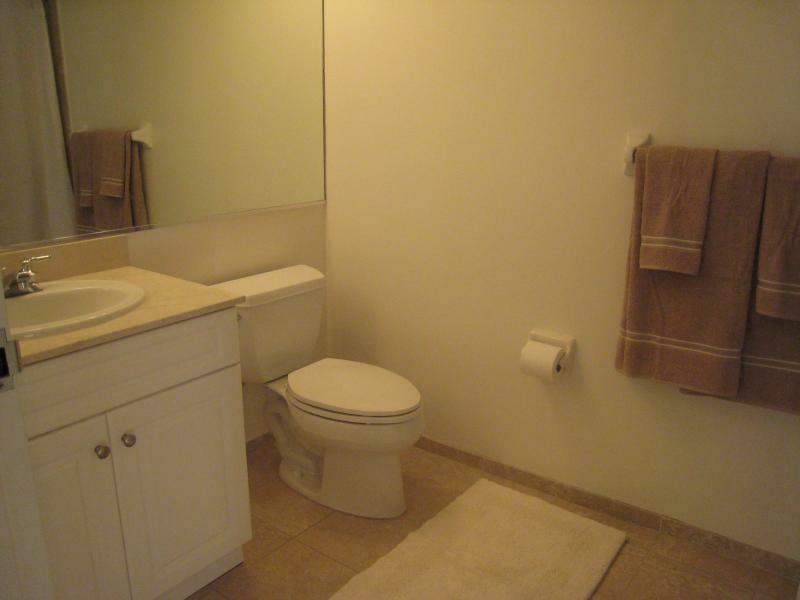 There is laundry in the unit and plenty of closet space.